Chicago Style Pizza & More! Place an order online for dine-in, carry-out, or delivery! Just type your zip code in the proved box below to get started. Pizza 9’s Deep Dish Deluxe Pizza is one of our most popular choices at our pizza restaurant. As an Albuquerque based pizza restaurant, Pizza 9 brings Chicago style cuisine to the local Southwest region. We proudly serve Chicago Style Pizza & More! We say more because it’s much more than just pizza! 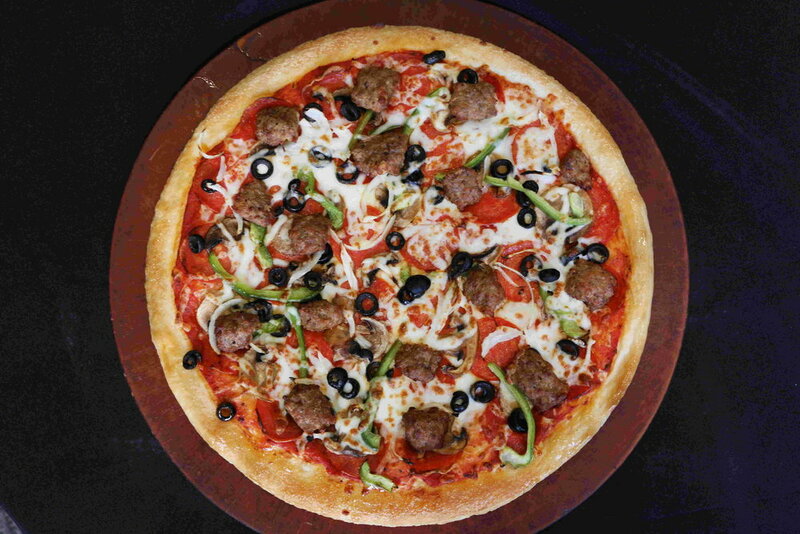 Yes, we serve pizza with our delicious, Deep Dish dough made fresh daily but we also provide our customers with many more options such as hot sandwiches, buffalo wings, pasta, soups, salads, desserts, & More! Come visit Pizza 9, your local pizza restaurant.